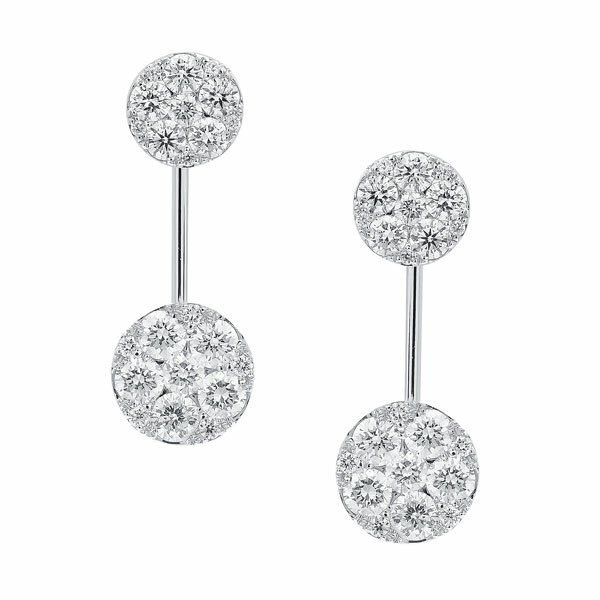 These stunning 18ct white gold earrings feature a removable bottom drop. 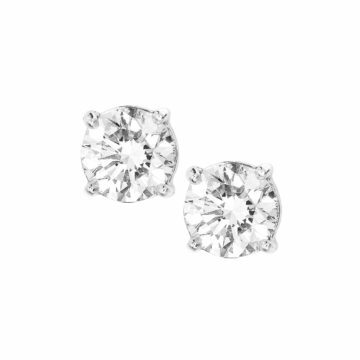 The top stud earrings feature 22 sparkling diamonds weighing .34cts G/SI. The removable bottom sections feature 22 brilliant cut diamonds weighing .65cts G/SI. Both pieces can be purchased separately.